Have a look at these two-piece bodycon dresses. I love the one in khaki green with a belt bag. Both dresses are ideal for Summer parties and trips. Complete them with feminine sunglasses and classic pumps. Looking for a way to underline your uniqueness? Go for this amazing open-back dress shirt tucked in a pale gold yellow midi skirt. Complete this combo by adding heeled sandals and blush leather quilted clutch bag. An Ideal outfit for Summer open-air special events. 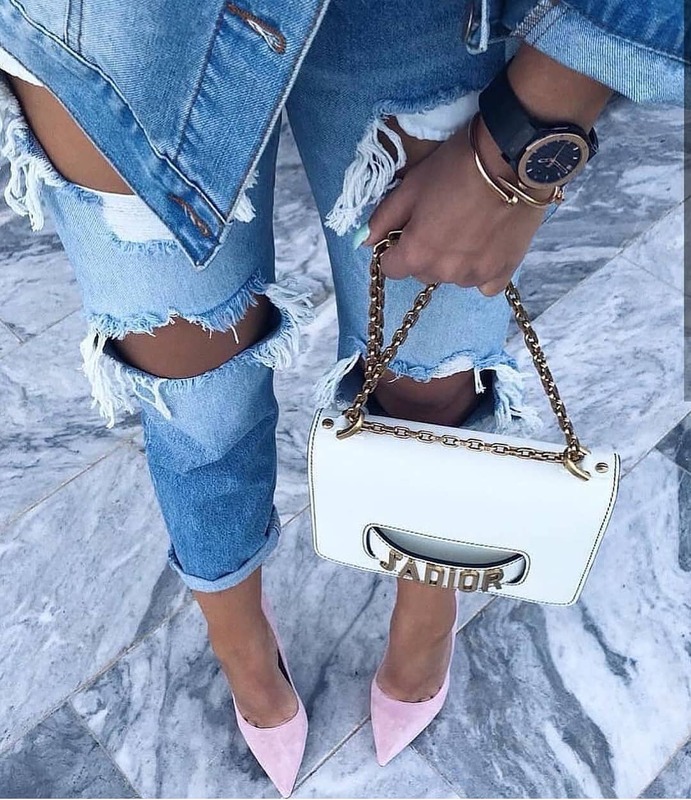 Keep an eye on these boodie sandals with high heels. Every design looks sophisticated and unique. I do like the simplicity of every shoe. You definitely should give them a try. Which one is your favorite? Check out this Summery cool outfit idea. We see a rich blue wrap blouse in red floral print tucked in blue skinny jeans completed with red heels. Complete this combo by adding oversized sunglasses and red handbag.